On 29 August 2016, The Huffington Post published an article written by David L. Phillips in which it was claimed that DAESH militants disguised themselves as Free Syrian Army (FSA) militants, as required by an agreement made by Turkey and DAESH, and that the Syrian border town of Jarablus was liberated by the joint operation of Turkey and the opposition forces, dubbed Euphrates Shield, “with barely a shot”. ‘Turkish-backed Islamists never engaged ISIS [another acronym for DAESH] in the so-called battle for Jarablus. 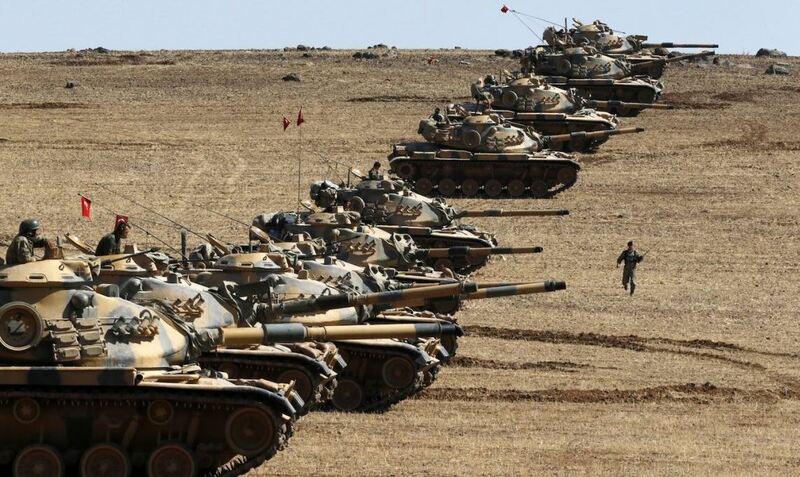 Before invading, Ankara made a deal with the Islamic State. Rather than resist, ISIS forces simply changed into FSA uniforms. Jarablus was “liberated” from ISIS with barely a shot,’ wrote the author. Although the author cited no source for his claim that Turkey and DAESH agreed that the latter’s militants will be dressed in FSA’s uniform, nor provided further information to justify it, which also meant that the US in fact supported DAESH by supporting the FSA, Fact-Checking Turkey did a research but failed to find a source that supported or refuted the claim. In contrast to the claim that Jarablus was liberated from DAESH “with barely a shot”, a detailed timeline provided some numbers about the operation as an indication of the clashes between DAESH and Turkey. Turkish air forces carried out 294 attacks on 81 DAESH targets and the FSA joined the operation with around 5,000 fighters, according to the timeline. Until Jarablus was captured by the Turkish and opposition forces, 46 DAESH militants and one FSA fighter were killed and 10 FSA fighters were wounded. “There were no casualties from the Turkish Army,” reported the news story.